He started his first business venture as a street vendor with capital of just $200 but two decades later Fomba Trawally has become one of Liberia’s most prominent businessmen. Like many in his country, Trawally fled Liberia in 1989 to escape the West African country’s ruinous civil war. 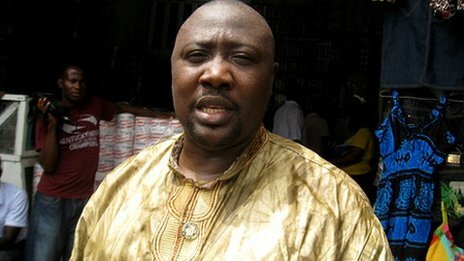 He found refuge in The Gambia but in December 1991 Trawally decided it was time to return to his native country. Once back in the capital Monrovia, the former refugee quickly realized he could capitalize on a need for one product: rubber flip-flops. “When the war took place people had to be displaced from another point to another point,” remembers Trawally, founder of Kumba Beindu and Sons. That initial investment in rubber flip-flops made quick returns. Trawally’s business grew steadily and by 2005 the self-made businessman owned three retail stores selling items such as paper products and cosmetics imported from all over the world. With an entrepreneurial spirit, Trawally next set his sights on making the transition from being an importer to becoming a manufacturer. Thus, in 2010 he launched National Toiletries Incorporated, Liberia’s first paper and toiletry product manufacturing company. The company’s factory became operational earlier this year, producing four different kinds of products: baby diapers, paper towels, napkins and toilet paper. But there is one business area Trawally is not concerned about. Looking ahead, Trawally says his next goal is to expand the business outside Liberia.